Oregon State University honors many of the VA education benefits and Oregon tuition programs available to active duty service members, veterans, spouses and dependents and we will work with you to find the right mix that meet your educational goals. 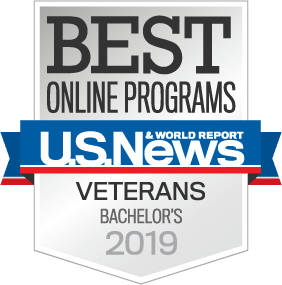 OSU's veterans information website details all of the programs available, including scholarship opportunities. By utilizing your VA benefits, you'll be eligible for priority registration, providing you with quicker access to registering for courses and purchasing textbooks. Use this guide to get the most out of your military education benefits. NOTE: To maximize your benefits, apply for FAFSA funding as well. Oregon State Ecampus provides financial assistance to currently serving military members who entered the service while they were residents of Oregon and who are using military tuition assistance to help pay for their online classes. This award is in addition to your other military education benefits. Check out the full details and eligibility requirements. NOTE: All first-year and degree-seeking transfer students can have the $60 application fee deferred. Oregon State also exempts all veterans of the U.S. Armed Forces from paying the $200 advanced tuition deposit (ATD). Learn more about how to receive your ATD exemption. As a long-standing member of the Council of College and Military Educators (CCME), military students enrolled in a bachelor or graduate program online at Oregon State are eligible to apply for scholarships through CCME. Learn more about the scholarship categories and eligibility requirements. If you are enrolled in courses at multiple institutions, learn the steps you'll need to take to have your courses at the other institution(s) transferred to and certified by Oregon State. We’ll also help expedite your college career by determining how to transfer your military education (maximum of 45 credit hours) to OSU. For more information on transferring credits, send an email to the OSU veterans office. Ecampus tuition and fees are the same price for Oregon residents, out-of-state residents and international students. Visit the Ecampus tuition and fees page for complete details. Janine Romero didn’t settle until she found the perfect degree online: a military-friendly university that offered a rigorous and well-rounded education to fulfill her interest in both the humanities and the sciences.